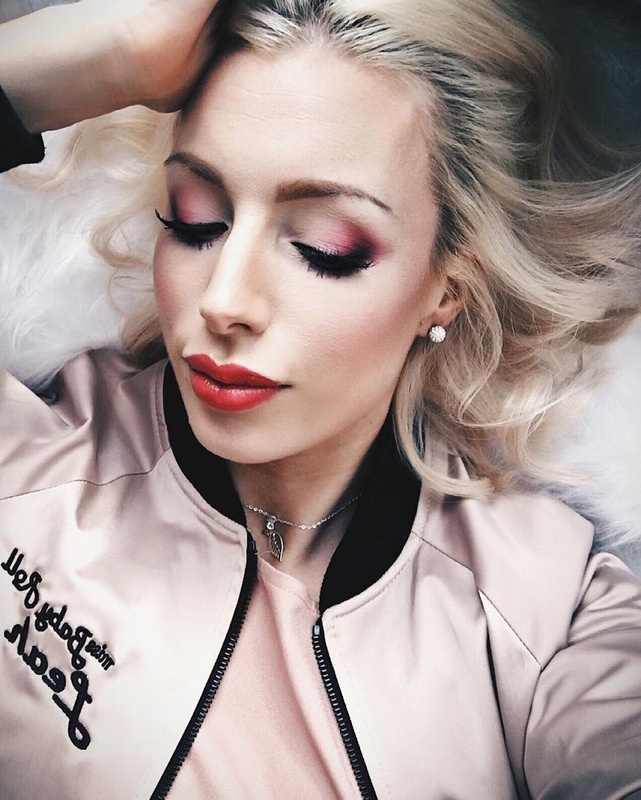 As a fake tan addict I’m always up for trying new tans – I’ve blogged about 5 or 6 different tans so far but I’ve tried so many more than than over the 15 years I’ve been tanning. You can probably say I’m a bit of a pro…..
I’ve tried lotions, sprays, mousses and wipes but my favourite products are always mousses as I find them easy to apply and they soak in a lot quicker on my skin. 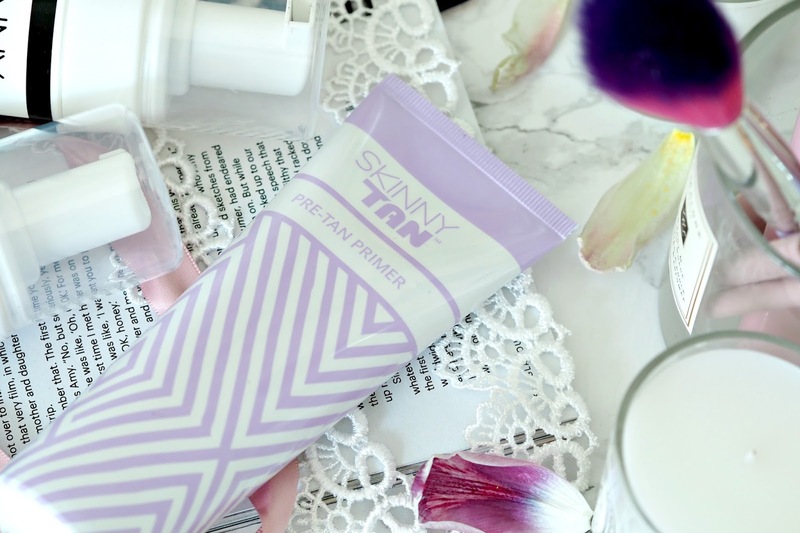 I’ve been using a few of the Skinny Tan products recently and as a self-proclaimed fake tan pro I thought you might wanna hear my thoughts….. All of Skinny Tan’s products are vegan friendly, cruelty free and did you know they were made offers by all the Dragons on Dragons Den back in 2013. I love bit a Dragons Den so if you want to watch the episode they were in you can watch it here – I’ve not seen so many offers in all my time watching it! As I’m so pale I always want to use really dark tans as they make me the colour of a “normal person” who is alive – as opposed to someone who looks dead, like I do without tan. No word of a lie if I go to a hospital or Doctor’s appointment and I haven’t fake tanned they always want me to have an iron test as they are convinced I’m anaemic because of how white I am!! I love that companies are now starting to bring out “dark” versions of tans as you know, when it comes to tans it’s not a one colour fits all. Some want a hint of a colour and some (like me) wanna go as dark as they possible can without going orange. So the Skinny Tan Ultimate Dark Mousse had my name written all over it. The tan applied easily, although the guide colour that you see when you apply it isn’t as dark as I would have liked. The guide colour stops you missing any patches and the darker it is the less likely I am to miss any bits. After I slept in the tan overnight and showered it off I was left with a beautiful very natural looking tan. I haven’t tried Skinny Tan’s original tan to know if this any darker but I would say that it was a good colour. Not the darkest I’ve tried but still a lovely shade, and what I must emphasise at how natural it looked. The only downside to this product I would say is that it does feel sticky for quite some time after you applied it compared to other mouses I have tried. The 1 hour tan isn’t sticky so I’m unsure what this one has in it that is different, but it’s something I did notice. It’s not too much of any issue if you’re just at home and are going to sleep in it, but I was worried to get dressed or sit down for some time in case it got stuck to my clothes and ruined the tan. I usually fake tan on a Friday and sleep in it overnight so I’m nicely bronzed for Saturday. However there have been plenty of times where I’ve been out on the Friday night and haven’t had time to tan. This is where express tans come in. This tan can be applied and within 1 hour it’s ready to be washed off. So if you haven’t had time on the Friday night you can still tan on a Saturday day time, before you go on a night out – brilliant! 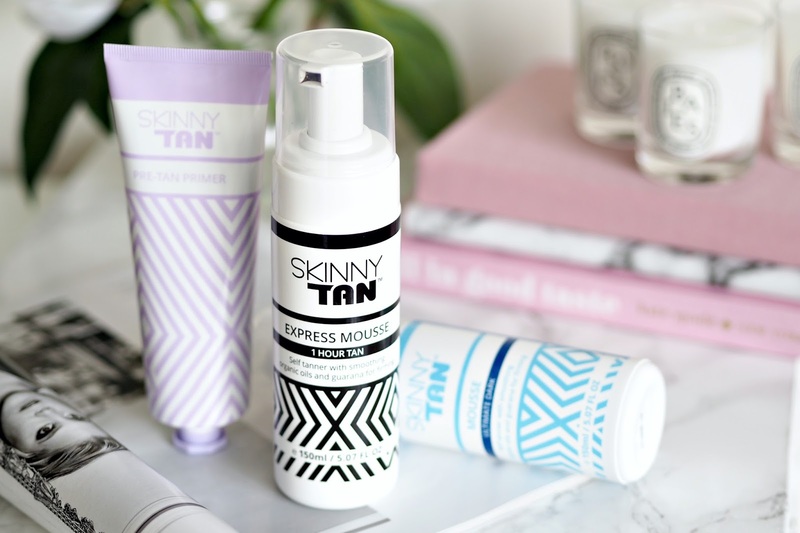 The Skinny Tan Express Tanning Mousse means that you can leave it on for 1 hour for a light tan, 3 hours for a darker tan or overnight for a really rich dark tan – this is what I have been doing as like I say, I like to go really dark. If like me, you also like to go as dark as can be then I suggest using this Express Mousse and leaving it on overnight – as you actually go darker with this tan you can using the Dark Mousse overnight. Sounds odd right, but believe me I’ve tried both. The tan was easy to apply, had a good guide colour, soaked in quickly and there was no nasty smell left behind (smells very similar to Sienna tan if you’ve used that). It also lasted a good week and faded evenly. I love this tan and I’m so glad I’ve found it! There aren’t many of these 1 hour/ express tans on the market but I’m sure they will grow in popularity with everyone’s increasingly busy lifestyle. I for one love a tan in which you can develop a colour that is most suited to you. If you didn’t already know exfoliating is the most important step to fake tanning. You can use the best tanning product out there but if you have not exfoliated properly it will look pretty goddamn awful, and it will wear off patchy which is not a good look. Unfortunately this product for me was unusable as it did nothing to exfoliate my body. Its creamy in texture but there are no where near enough beads in it to exfoliate your skin well enough in preparation for a tan. When I exfoliate I like to have a proper scrub to really remove any dead skin cells and the Skinny Tan Pre Tan Primer just didn’t do it for me. All of Skinny Tan’s tanners combine a natural tanning active with naturally derived skin smoothing actives that they claim will contour and reduce the visible appearance of cellulite. I wouldn’t say I saw any visible reduction in my cellulite over what any other tan can do, but overall I’ve been pleased with the tans. Skinny Tan products can be purchased at Superdrug, Look Fantastic, Feel Unique and SkinnyTan.co.uk. Have you tried any of the Skinny Tan products? What are your thoughts?